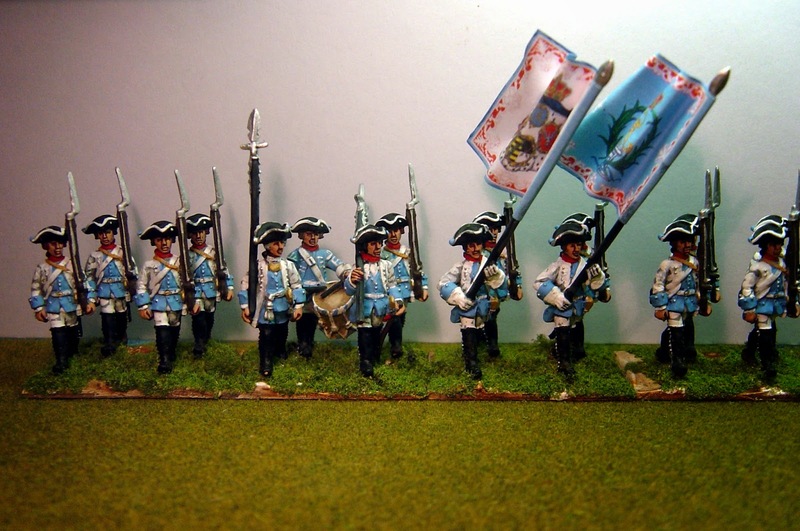 Here is another Saxon Infantry Regiment, although I'm only showing you the first battalion. Note the minor uniform change from early war to late war in the second picture - the early war grenadiers wear the mitre and the uniform had no lapels. By the war's end the mitre had been replaced by the bearskin and lapels had been added to the coat. Such is the minutiae of uniforms that is my minor addiction. Sorry about the absence of posts for a while - I've been on holiday in Thailand. I lived in Bangkok as a child 50 years ago and there have been a few changes since then. Nice as ever. Saxon WAS uniforms are amongst the prettiest. I should paint some, sooner or later (in my scale however....). 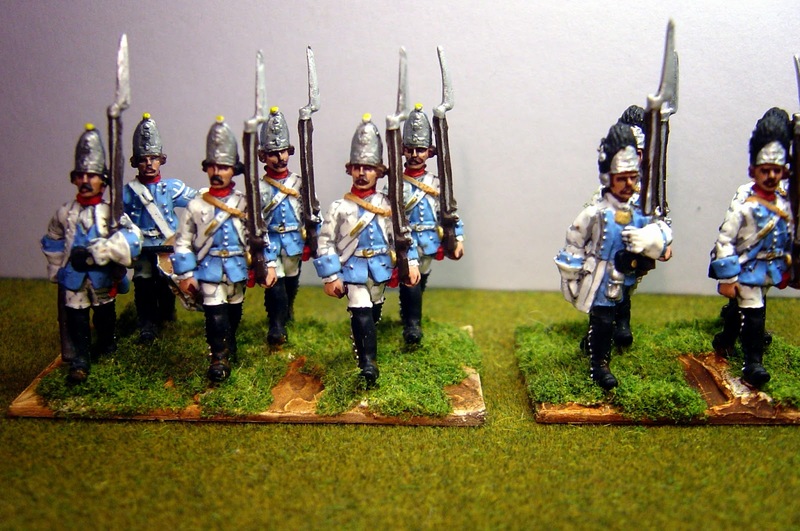 Saxons SYW: Infantry Massed band.